Invisalign can finally get rid of pesky crooked teeth and noticeable gaps in a wonderfully seamless manner – no “metal mouth” required. 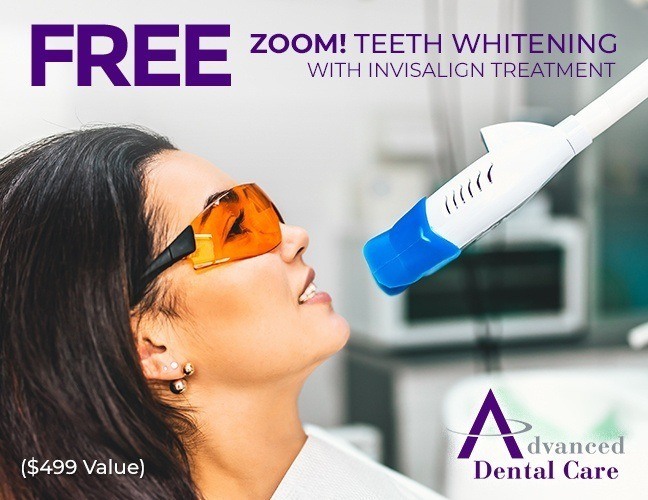 In order to give patients an extra reason to smile, the Advanced Dental Care team is now offering FREE professional ZOOM! Whitening with the purchase of an Invisalign treatment plan. This is a $400 value, so be sure to take advantage today! Contact our office by phone or use the short online form below to schedule a visit here in Costa Mesa.